You, dear reader, continue at your own risk. It is not for the faint of heart-no more so than the study of dragons itself. 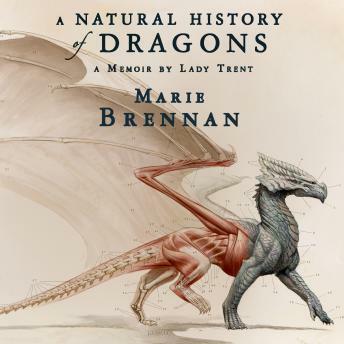 But such study offers rewards beyond compare: to stand in a dragon's presence, even for the briefest of moments-even at the risk of one's life-is a delight that, once experienced, can never be forgotten. . . .
Firstly, I'd like to say that Kate Reading's voice brings to life Marie Brennan's eloquent words. This is a beautiful marriage between author and narrator. The story is carefully woven and written from a mature woman's perspective, a reflection on her naive youth. A must for readers and listeners alike. This was wonderful to listen to. It's great how the narrator combined an element if fantasy and mixed it in with a touch of sci fi. The reader was great as well. She had a voice that gives off the same stuck up and funny air as the protagonist. Really cool and I do recommend it.